An uncontacted tribe photographed from the air in the Brazilian Amazon. Sitting too much is killing you, and not even exercise can stop it because our sedentary existence is taking up too much of our lives. It's shortening your life even while it pays for your lifestyle. It affects your circulation and breathing to a point where you may suffer from a condition referred to as "desk apnea" which can lead to serious heart conditions. Standing too much is killing you. It's hurting your back, it's ruining your circulation, and even if you sit once in a while that's not enough because standing too much is killing you. My summer was soured by my own ennui but it was seeing Michael Winterbottom’s The Trip to Spain that made me really ache to not just go on vacation but to get out more and enjoy the season by eating out, catching a show, sharing some drinks and generally exploring a bit. I didn’t get to do everything but I did see some movies. 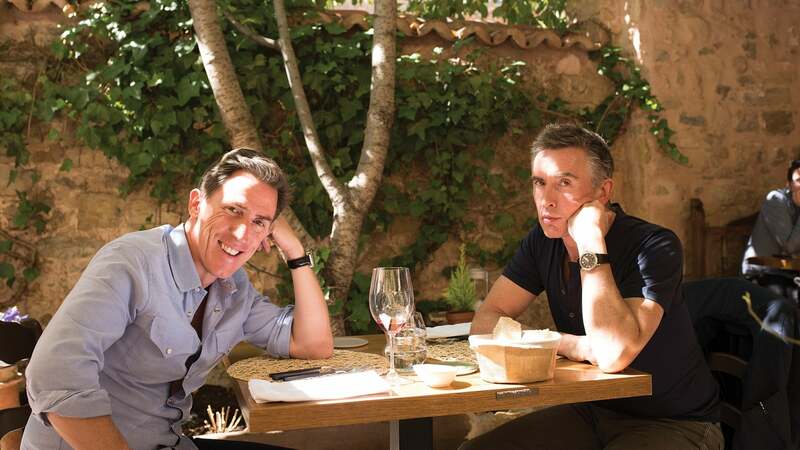 Steve Coogan and Rob Brydon continue their series of trips to restaurants wherein they converse about life, culture, careers, women and anything that might lead to their duelling Michael Caine or Roger Moore impersonations. In the past these trips have been casually linked to writers such as Samuel Coleridge, Yeats, Shelley, and Byron while this trip is decidedly Quixotic with much inspiration from the 17th century Spanish writer, Cervantes. 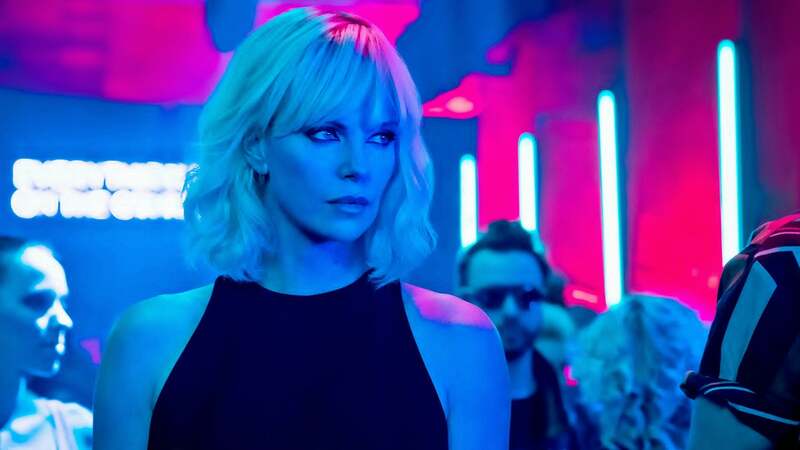 The two-hour version given a theatrical release is usually an edit of a six-hour long television series so I wonder if something wasn’t lost in the curious ending which the viewer can’t be sure whether it’s a fantasy, reality or just somewhere betwix the two. There is a story, most likely apocryphal, that Samuel Coleridge had many more stanzas of his famous poem in mind but was disturbed from his reverie by an insurance salesman knocking on the door. It’s probably more likely that Coleridge’s opium high dissipated, thus ending a soaring stanza-generating drug fuelled high. Downer, man. For the last couple of years, I’ve endeavoured to maintain a kind of journal, an illustrated one that I keep for myself. Because it takes anywhere from thirty minutes to two hours to sketch, I don’t do entries every day but try to do two or three a week. It’s not full of super-secret stuff or anything. 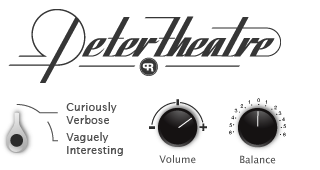 In fact, it is insanely and almost perversely dull and benign. Occasionally I give in to some jealous or despicable thought but for the most part it is entirely quotidian full of everyday minor moments that stick in my head. My prime reason for not sharing it is the comics tend to be poorly drawn or even if they are well drawn there’s always one panel that is terrible and would be too embarrassing to show anyone. I’m about to finish a sketch book, the fourth one I’ve done and they usually cover six to eight months. This one will wind up covering just over six months so I thumbed through it to try and find any patterns. Hawksley gets it - the author requests you play this while reading this entry. This week there’s been a chill in Toronto, beautifully illustrated by the appearance of socks, sweaters and jackets. I actually closed a window yesterday and last night I slept without my humming rambling air conditioning. We’ve been swept into Labour Day weekend like an unsuspecting child ushered into a car after falling asleep at a party of peers. The Air Show is here which is essentially the fork you stick in summer to announce it is officially done. From my office window I watched a rehearsing jet fold and tumble and rocket itself over the harbour like a bird playing in an updraft. I’ve felt an urgent need to stretch out my summer but it already feels like a compression rather than an extension. I was one of only five people at work on the Friday of the long weekend and even though I didn’t leave until 6:30-ish my phone buzzed over an hour later when a colleague updated a shared folder. What’s wrong with us? When I got home I left my bike on the deck with the hope it would urge me to ride to Summerville Pool but I still flopped on the bed for an after work nap. When I roused I still had time to go for that swim. Should I go? I did the calculations that left me with five minutes to decide whether it would be worth it - it’s a 7 KM ride and by the time I got there I could squeeze in a 30-minute swim, but only if I left immediately. It was cold for an outdoor swim, 17°C in fact, but the ride would warm me up. By the time I walked out on the deck of the pool dusk was settling in and it was even colder. Something I overlooked was that the pool is heated, but this is the first time I can remember the water feeling warmer than the air. As the sky darkened a waxing moon was glowing overhead. In the western sky someone spotted a drone hovering over the pool and adjacent Woodbine Beach. It’s blinking light and unsure flight suggested a dragonfly. The last embers of the sun glowed above the rooftops as I rode home. I’d hoped to go to a late movie but I still hadn’t eaten and that became the priority. Another cold plate special for supper that used the last of the basil from my herb pot. The mint has already withered and withdrawn so I had to buy some to make a pre-meal Mojito. Not only was I out of mint, but the mix finished my rum. That was the last of it. If that’s not an omen to summer’s end I don’t know what is. The season of stout beer and scotch is upon us. Don’t despair, autumn is also a season for baking pies, bread, making hardy stews, chilli and cozy afternoons lit by a low hanging sun. Dry your chlorine bleached hair and stretch your sun ripened arms into a sweater. Autumn’s here, it’s okay if you want to cry.